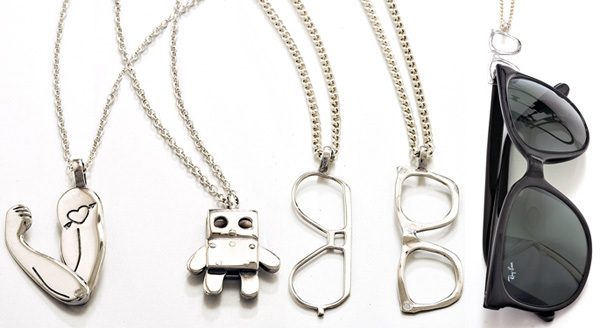 Toy Me has some fun new pieces ~ from their newest collection the ones that grabbed me are the macho arm, robotino, and the sunglasses to hang your sunglasses from (at first they almost look like the tabs from soda cans)! 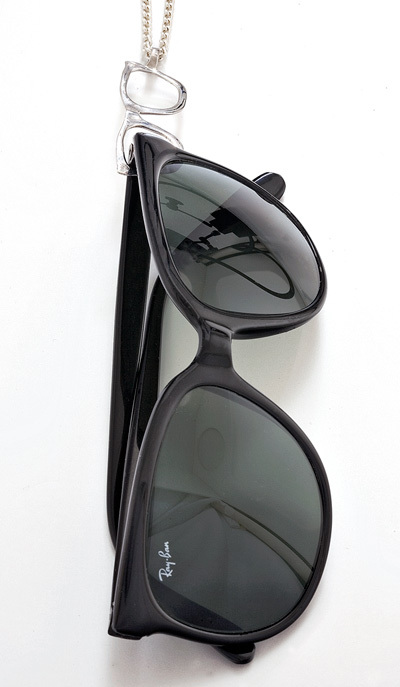 The mini rayban wayfarers and even aviators are far too cute, definitely a fun add on gift if you’re gifting sunglasses this holiday season. Close ups below… and if Toy Me seems familiar, maybe you’re remember those sweet Hunting Trap bracelets and Tank Cufflinks! 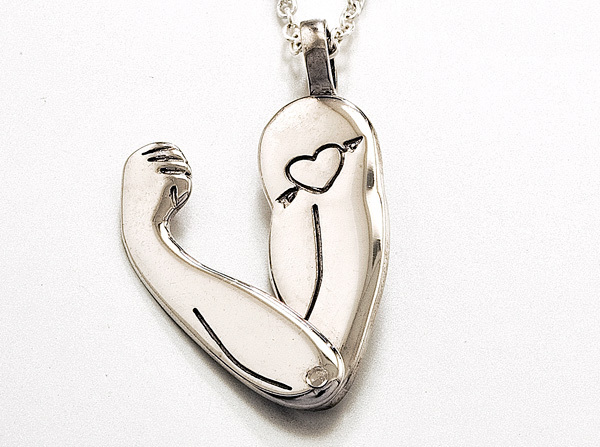 Hello.. does anyone know where I can get the toyme necklace with the ballerina legs hanging from the chain? Come on people, that is beyond expensive! Hey Amanda: Thanks _SO_ much for the update on shopping info. 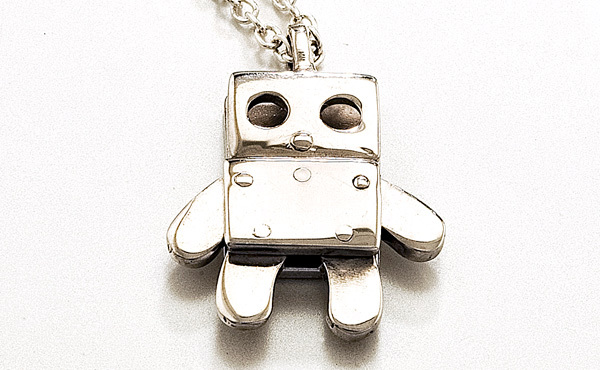 I’ve been looking for a Robotino necklace since this original post, and now I can get one for xmas! 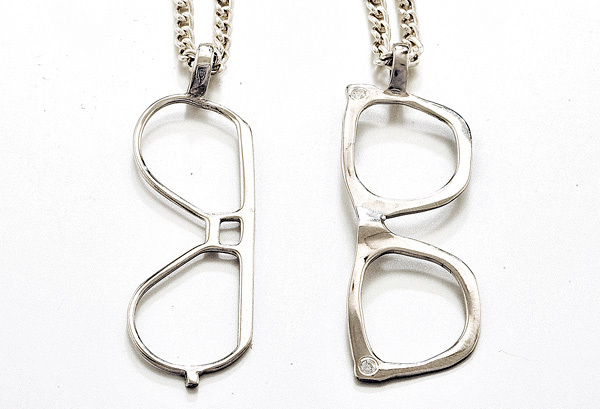 Do you know where I can buy these online? I’m looking but not finding anything.